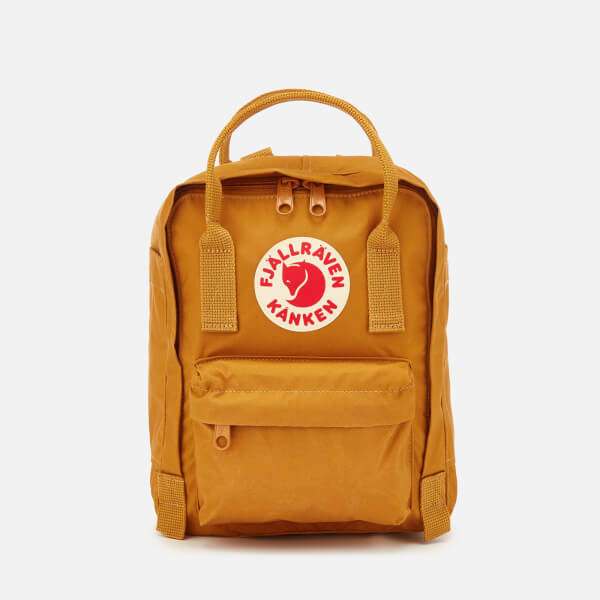 The Kanken Mini Backpack from Fjällräven is a petite version of the original, and has been designed to fit both children and adults. 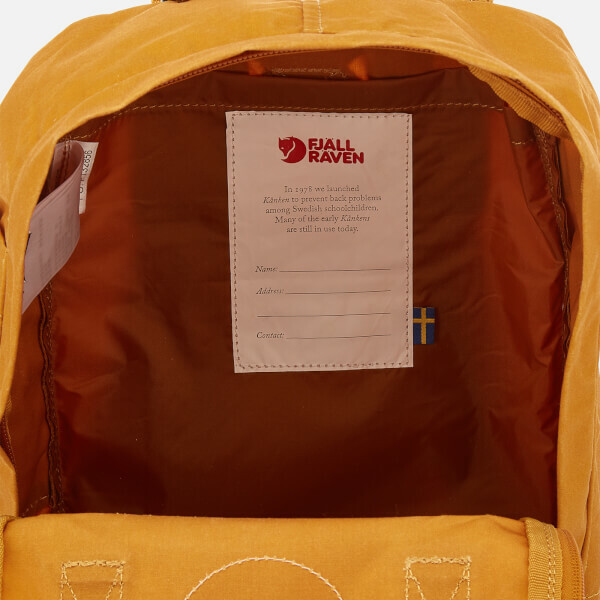 Originally designed for Swedish school children in 1978 to help prevent back problems, the rucksack is crafted from durable, lightweight Vinylon-F fabric and features a zipped pouch pocket to the front, and two slip pockets to the sides for extra storage. Secured with a zip-around fastening, the bag opens to reveal a main compartment with additional slip pocket within. Complete with a detachable foam seat pad to protect your back from contents of the bag. 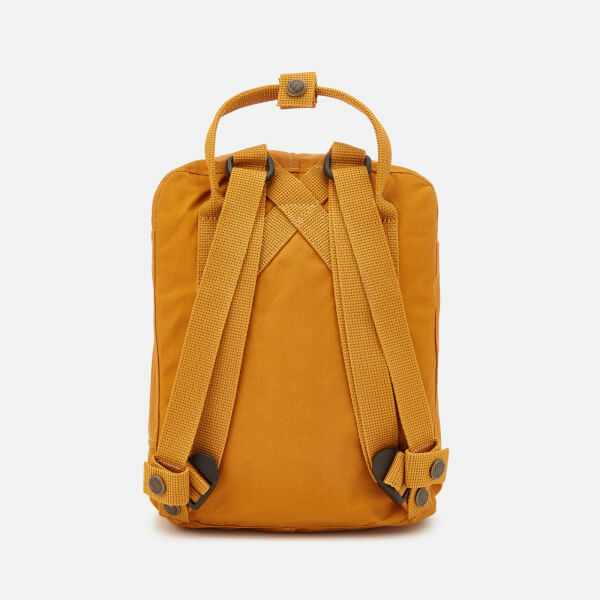 Fitted with two adjustable shoulder straps and two durable top handles. The shoulder straps can be fastened with a clasp when at their tightest to avoid swinging straps. 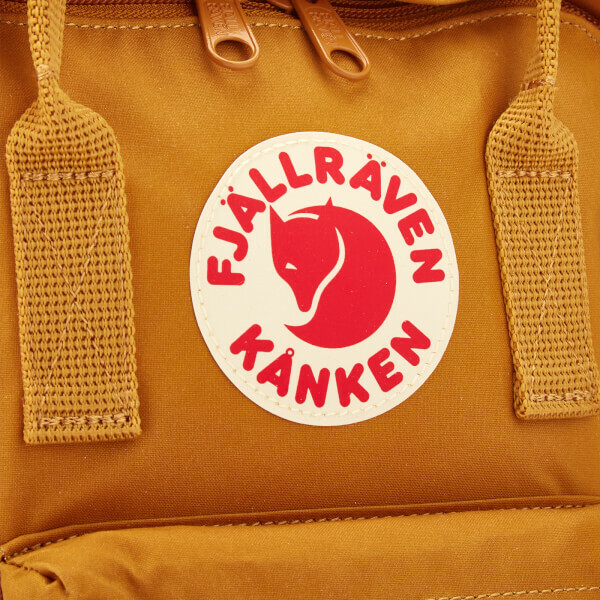 Reflective Fjällräven logo to the front.